Dr. Poneh is sweet and very good! I love the experience, will it's the blast it could be for going to see the dentist! Thank you! Brushing your teeth two to three times a day is an effective way to ensure that you are practicing good dental health. Given the importance of brushing and the wide variety of toothpastes on the market, selecting the right toothpaste can be difficult. So, how do you go about choosing the right toothpaste? Any toothpaste that you purchase should contain fluoride as an ingredient. Fluoride is a mineral that occurs naturally, and it plays a vital role in maintaining your teeth. After you eat, bacteria feed on the particles that are leftover. This process creates an acid that can be very harmful to the health of your teeth. Fluoride strengthens your enamel, making it more resistant to this acid. It has also been shown that fluoride can even reverse decay that has been started by exposure to this acid. Even if you live in a city with fluoridated water, fluoride is still a key ingredient. If your child is under the age of two, though, it is best for them to use fluoride-free toothpaste so that they do not swallow it. Other effective toothpastes are ones used for tartar control and ones that are designed specifically for sensitive teeth. Whitening toothpastes should be avoided, though, as these toothpastes contain abrasives that can do more harm than good to your teeth. It is also best to avoid toothpastes containing any of the following ingredients: sodium lauryl sulfate, propylene glycol, ammonium hydroxide, and silica. 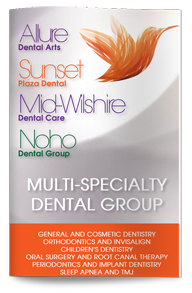 If you have any additional questions about which toothpaste is right for you, contact our dentist to set up a routine examination.